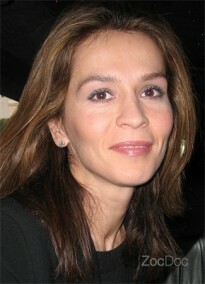 Dr. Maja Simic is very passionate about Dentistry. Dr. Simic received her Doctor of Dental Surgery degree from the University of Illinois Chicago in 2008. Since the completion of Dental school at UIC, Dr. Simic has been committed to excellence in dentistry. She is also a Dawson Academy trained dentist, where the primary focus is on dental occlusion, temporomandibular joint (TMJ) and comprehensive restorative dentistry. Dr. Simic utilizes an interdisciplinary approach for total case management towards delivering an ideal comprehensive care. This approach is Dr. Simic's foundation to a complete and predictable dentistry. Dr. Simic strives on helping others from colleagues to patients. As a dentist, Dr. Simic emphasizes open communication with her patients in order to make them comfortable and happy throughout the appointment. She is dedicated to teaching her patients everything they need to know about the treatment in order for everyone to be on the same page. Her personal mission includes developing trust, providing open communication, and presenting the best treatment possible for the patients on a daily basis. Nothing makes Dr. Simic happier than seeing a patient leave the visit with a smile on their face. Dr. Simic is an active member of numerous dental organizations, which includes Illinois State Dental Society, American Dental Association, Chicago Dental Society, Pankey Study Club in Michigan and Spear on-line education. She actively participates and undergoes hands-on courses at Pacific Aesthetic Continuum and that has helped her complete several esthetic reconstructive cases so far. During her time off, Dr. Simic enjoys spending time with her twin boys and family. She loves being active, enjoys sports and nice weather. Dr. Simic is also fluent in Croatian, Bosnian and Serbian and can speak some Spanish.